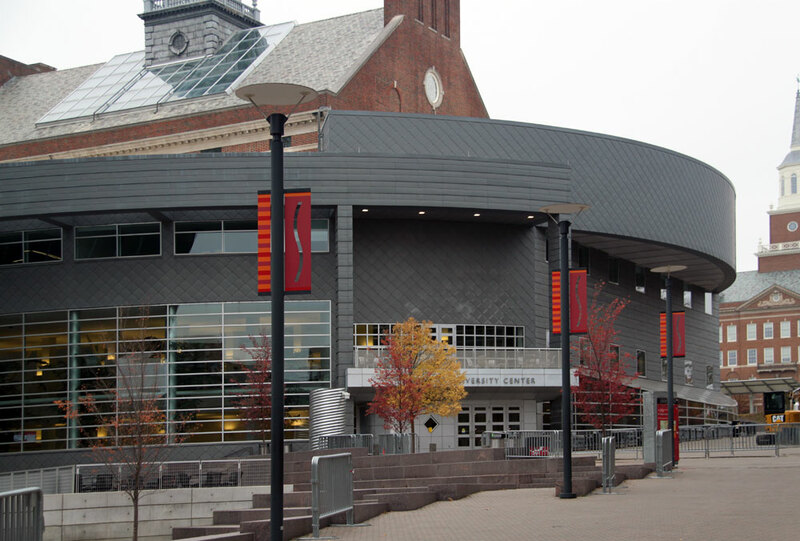 Images of the Tangeman University Center, University of Cincinnati by Gwathmey Siegel. 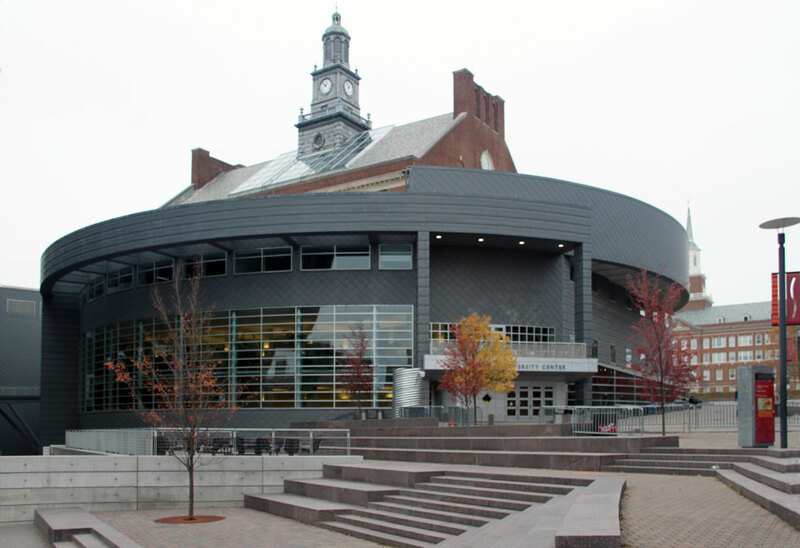 This unique addition and renovation (of 190,000 square feet} demolished most of the original building except for one exterior wall, the historic facade facing McMicken Hall, and the cupola now perched above a clear glass roof. 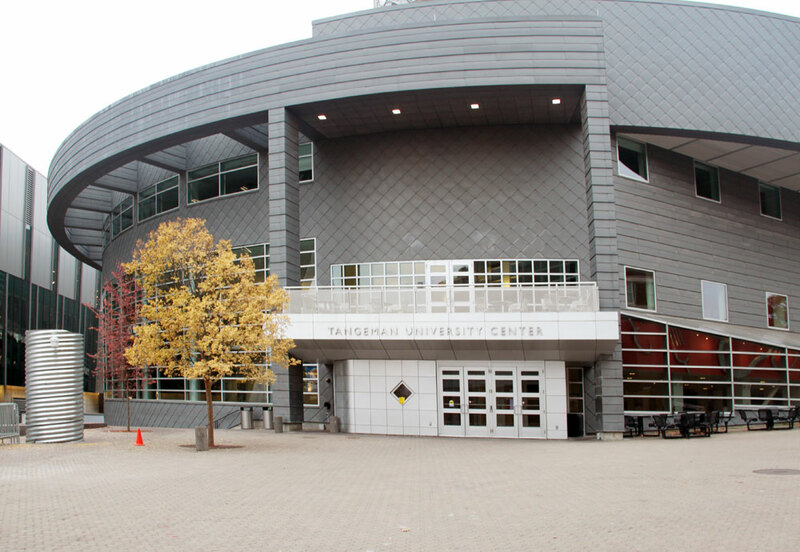 The Federal Style facade on one side of the campus with traditional buildings contrasts with the opposite side where avant-garde facilities by Moore Ruble Yudell, Morphosis, and Bernard Tschumi dominate. The original student union, red brick and colonnade was designed in 1935 by Hake and Hake. Its traditionalism, saved from the past, is also seen in the tower based on that of Philadelphia's Independence Hall. 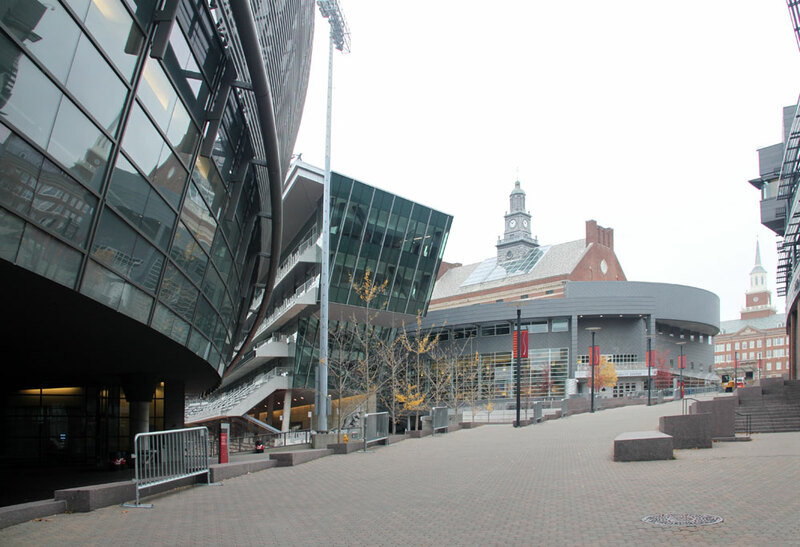 Gwathmey Siegel created a modern building with all the functions demanded of a student center, as well as center of campus uniting the new and old. 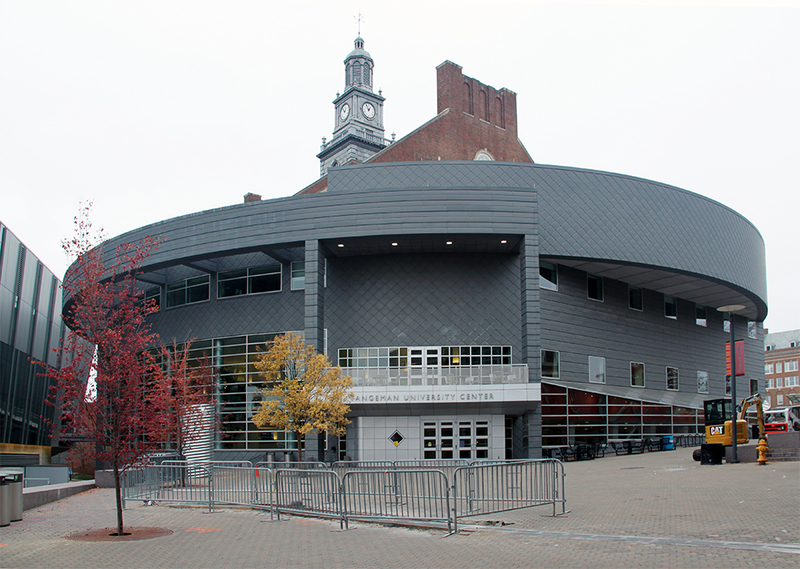 This up-to-date facility has an 800-seat, multipurpose hall, a movie theater, a bookstore, lounges, conference rooms and food services and restaurants. Click here to see the home page of Bluff ton University.